With CES 2019 starting tomorrow, the announcements are coming in droves. One that caught our eye was Cooler Master. Introducing a range of products, from headsets to new keyboard models and mice, Cooler Master has placed a focus on wireless peripherals at this years CES. 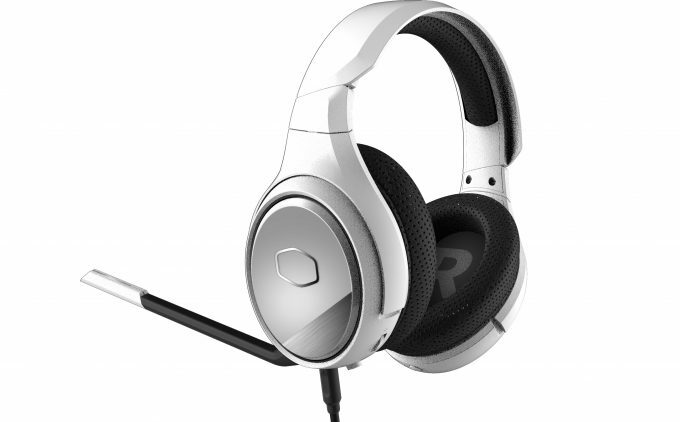 The first announcement was the MH670, a wireless headset that touts comfort and lightweight construction. Offering virtual 7.1 surround sound and driven by 40mm Neodymium drivers, the MH670 looks to provide a “full balanced sound” while offering excellent noise cancellation. The headset also comes with a detachable omni-directional boom microphone and folds flat for convenient portability. Cooler Master has a trio of keyboards this year, the SK621, SK631, and the SK651. All three ship with Cherry MX low-profile switches and can be used over a removable Type-C USB cable or a Bluetooth 4.0 connection. Per-key backlighting, a perimeter light bar and customizable macros when used with the Cooler Master Portal “Software Application” are all available on the SK621, SK631, and the SK651 boards. 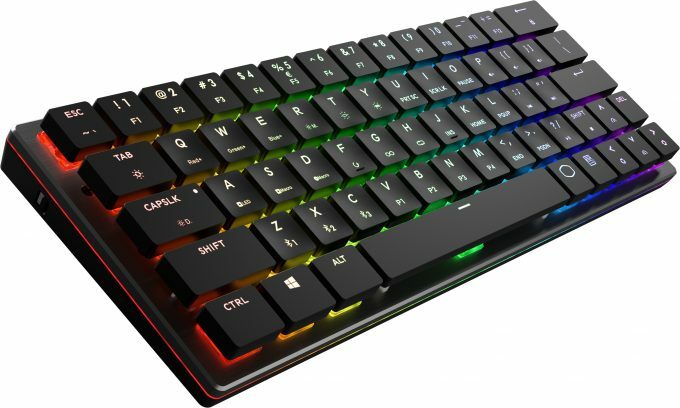 Offering three different sizes, with the SK621 being a compact 65-key, the SK631 a ten keyless board, and the SK651 a full sized keyboard, users have a choice based on user preference. The MM831 is Cooler Master’s first wireless mouse. 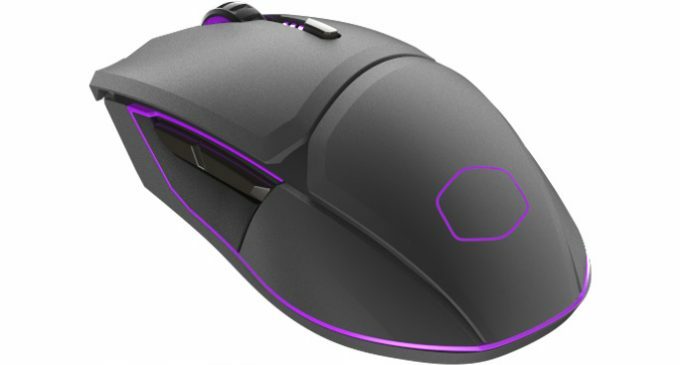 Featuring four RGB zones, the mouse uses a top-of-the-line 3360 optical sensor for speed and accuracy, Omron switches rated at 50M clicks and offers DPI settings up to 24,000. There is also a hidden D-pad, located in the thumb rest area, and should prove useful for MMO gamers. Finally, there is an OLED screen that allows full customization by the user. The final announcement of the day for Cooler Master is the GS750, a headset stand with QI wireless charging available in its base. The GS750 can also serve as a USB hub, offering two additional USB 3.0 ports. With 13 LEDs, the headset stand offers customization through the company’s software suite. If all that weren’t already enough, the stand’s base also includes a built-in sound card that offers 5.1 surround sound, allowing users to plug their headset in directly if they choose to do so.